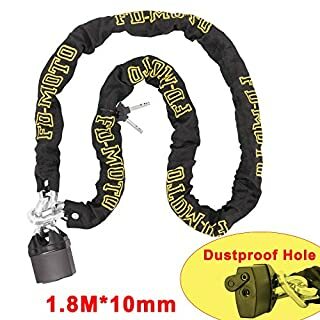 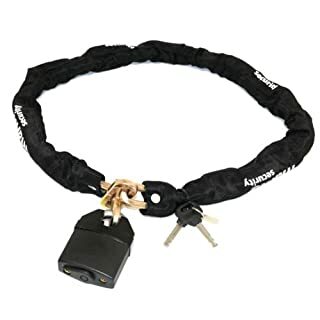 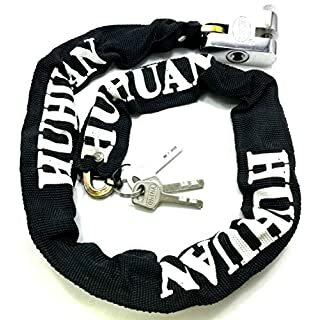 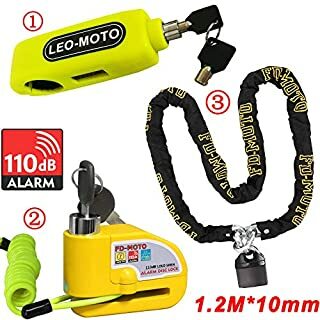 Security Chain Lock Perfect for motorcycles, this heavy duty chain lock is designed to keep your prized possession secure. 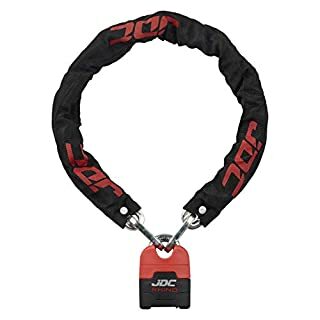 1200mm Long Heavy duty security padlock Hardened steel padlock body 8mm square link chain Performs to ISO9001:2000 and QB 1001-2006 standards All dimensions are approximate and taken at the maximum points of the item, unless otherwise stated. 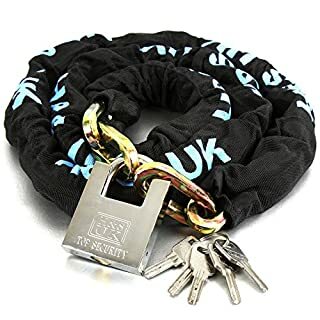 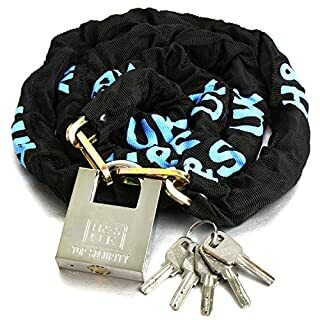 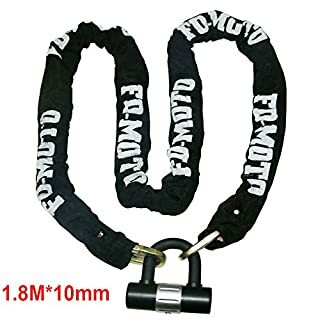 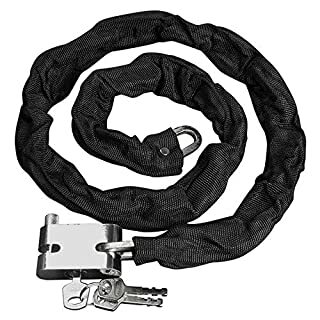 Colour: Black Material: Security Grade Metal & Reinforced Fabric Size: 85cm (555gsm) Key: 3 Keys Hardened Steel with Welded Links Resistant To Bolt Cutters, Chisels, Hammers, Saws & Files High Strength, Tamper Proof for Maximum Security Heavy Duty Canvas Cover Very High Security, Integral Lock-Head Hardened Steel Closes Shackle, Sliding Dust & Waterproof Keyhole Cover 90mm Stainless Steel with Plastic Rust Proof Covering Complete With 3 High Security Keys You Will Receive: 1x Bike Chain Padlock.